On Tuesday, a federal judge in San Francisco temporarily blocked the Trump administration’s decision to end the Deferred Action for Childhood Arrivals (DACA) program. However, instead of relying on an uphill legal battle, advocates are still pushing for a clean DREAM Act, which would provide a more permanent solution. Pending negotiations include potential cuts to the family-based immigration system and the elimination of the diversity visa program. Congress has until January 19 to attach the DREAM act to the federal spending bill. While a group of bipartisan senators claim they have reached a deal, it remains unclear if the deal has the support of other Senators and the White House. Meanwhile, in a bipartisan meeting with legislators this week, the President expressed his support for a bill that would protect undocumented immigrant youth, but in exchange for a border wall and other tighter border security measures. 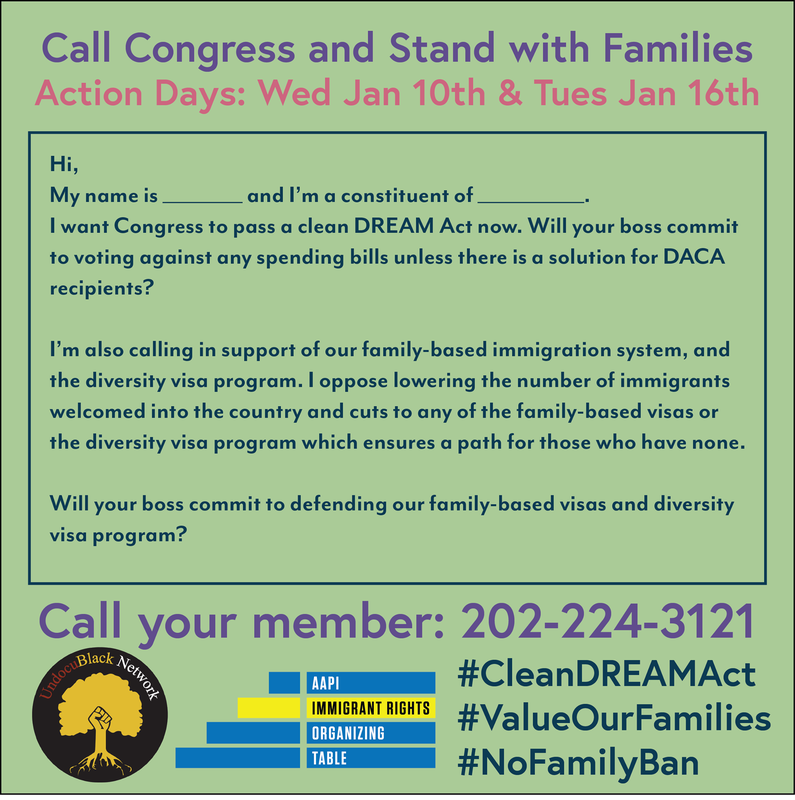 Call your representatives NOW and demand that they attach the DREAM Act to the January spending bill! The American Civil Liberties Union (ACLU) is going to court once again on behalf of “Jane Moe”, the fourth undocumented immigrant minor in four months that has been blocked from obtaining an abortion by the Office of Refugee Resettlement (ORR), led by anti-abortion activist Scott Lloyd. 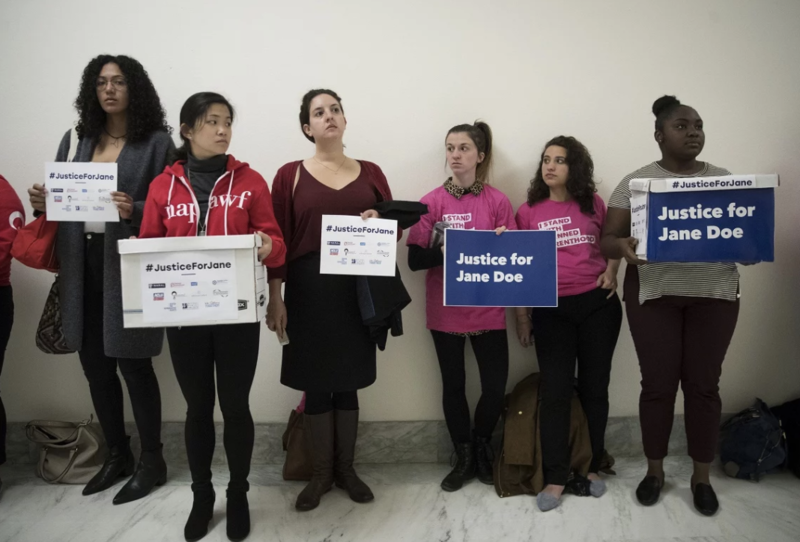 Like Jane Doe, Jane Moe, who is in her second trimester of pregnancy, was sent to a fake health clinic to coerce her out of having an abortion. Although the three previous Janes were eventually able to receive abortions, the ORR policy of prohibiting abortion except in cases of life endangerment remains intact and unconstitutional. On Thursday, the Department of Health and Human Services (HHS) issued guidance allowing Medicaid state directors mandate that Medicaid recipients have a job or participate in other forms of “community engagement”. The unprecedented move, which seeks to limit enrollment in the program for some of the most marginalized Americans, would disproportionately harm women, people of color, and people with disabilities. 1 in 5 AAPI women rely on Medicaid for coverage of basic health services such as family planning, prenatal care, and preventive care. On Wednesday, Immigration and Customs Enforcement (ICE) officers raided dozens of 7-Eleven stores nationwide demanding documentation from workers and arresting immigrant workers for detention. 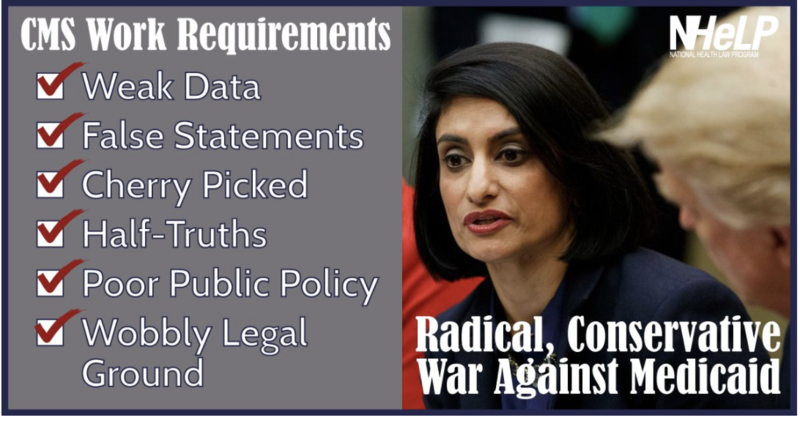 The enforcement operation represents the largest of its kind during the Trump administration and comes as a direct attack to the South Asian Community. The raid resulted in 21 arrests, warning employers from hiring undocumented workers. Since the Obama administration introduced a new rule 2015, spouses of H1B visa holders, immigrants who are considered highly-skilled workers, can legally work in the US. Under Trump, the Department of Homeland Security now wants to end this rule, prohibiting spouses of H1B immigrants, who are mostly women, from working. Ending the rule not only poses an economic burden on families by restricting them to a single income, it can also cause depression and a feeling lack of dignity and purpose among many immigrant women. This threat is one of many recent attacks by the Trump administration on immigration, including H.R. 4760, the so-called Securing America’s Future Act, and threats to strip the right of U.S. citizens to sponsor family members abroad. In December, the Trump administration’s Department of Labor, backed by the National Restaurant Association, issued a new rule enabling restaurant owners, instead of restaurant workers, to collect and pocket tips from customers. Currently, tips belong to restaurant employees, some of whom earn hourly wages less already less than minimum wage and rely on tips to earn a living. A large proportion of tipped workers are women, especially women of color, and the new rule would would make female workers even more vulnerable to workplace harassment. A disproportionate number of AAPI women work in the restaurant industry, with some AAPI ethnicities more likely to work as a restaurant worker than any other ethnicity. According to a report by the National Institute of Reproductive Health, 645 bills were introduced in state legislatures that sought to protect access to reproductive health, and of those, 86 passed. In Illinois, Governor Bruce Rauner signed a law, H.B. 40, that expands public funding for abortion through Medicaid and state employee insurance. In our advocacy efforts to help pass H.B. 40, NAPAWF was successful in organizing several AAPI groups to come out in support of the bill and for abortion rights. 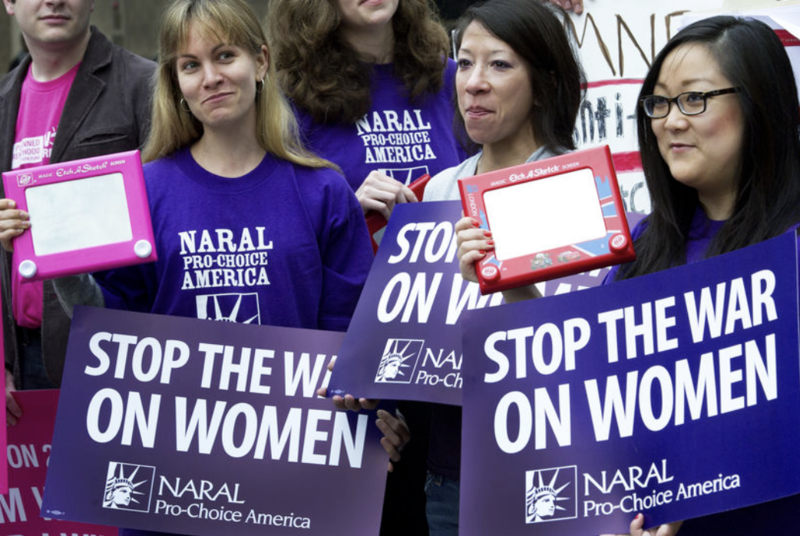 Support NAPAWF's reproductive justice work. Click here to donate.